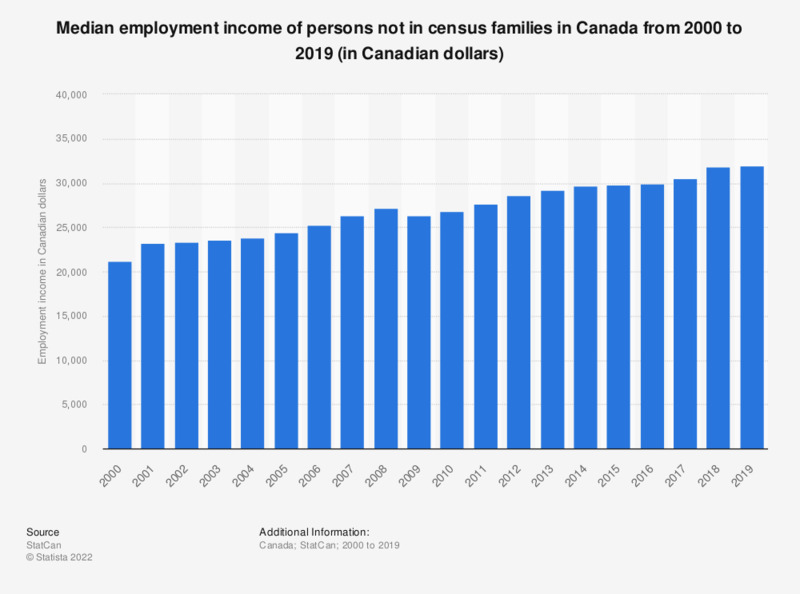 The statistic depicts the median employment income of persons who are not included in census families, in Canada from 2000 to 2016. The median employment income of unattached individuals amounted to 29,900 Canadian dollars in 2016. Employment income includes wages and salaries, commissions from employment, training allowances, tips and gratuities, and net self-employment income (business, professional, commission, farming and fishing income). What is your personal annual income before taxes?